Centaur handles all investor related activities, including documentation processing, investor communications, AML services, compliance monitoring and transparency reporting. Centaur offers a comprehensive service to Investors and Investment managers using its highly automated process. Onshore and Offshore investor level reporting. Centaur’s compliance services enable clients to maximize their efficiency while minimizing their business and regulatory risks. Regular reporting to the Fund on investor activity and exceptions. Centaur offers multiple communication means to provide information including access to our secure network to retrieve customized data for their needs. Centaur offers a variety of reporting measures tailored to investor needs. Investors have access to their holdings along with pending and historical transactions, located on our secure network. Transparency reporting showing asset existence, independent price verification, ASC820 classification and counterparty exposure. 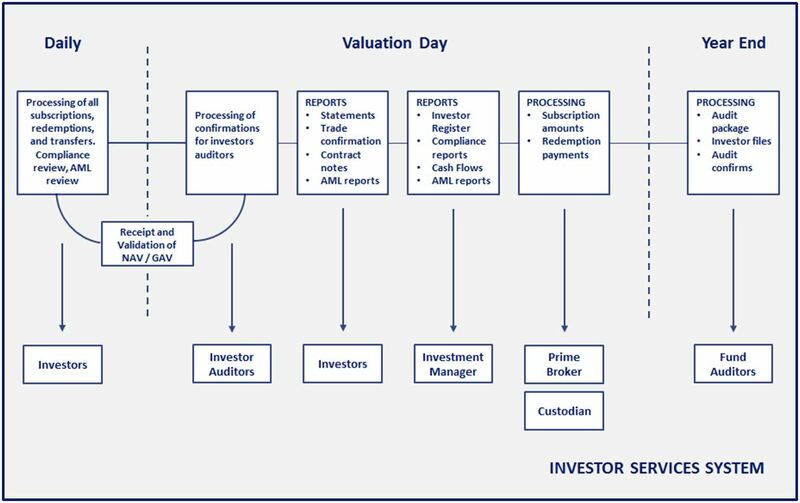 Reporting of holdings, market value, profit & loss and returns. Timely response to investors and their auditors requests. Trade confirmation and contract note. Mantra provides transparent and traceable processing. All entries and changes are recorded with user details and timestamps allowing controlled monitoring and reporting. Mantra provides an open fee engine for all types of fees, including complex performance calculations, removing any manual errors. 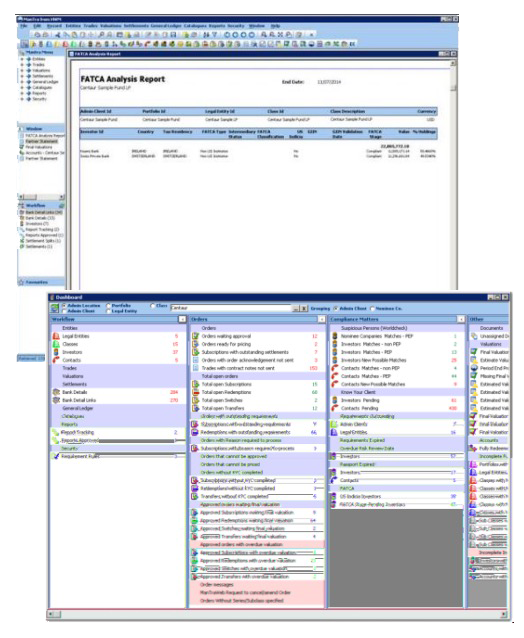 Mantra delivers a comprehensive suite of internal and external reports including real time report generation. Compliance monitoring and reporting is in-built in the system. Centaur draws upon the most experienced team in the industry to handle all investor transactions. Each client is provided with their own team of specialists and a dedicated primary contact person who oversees all elements of their relationship with Centaur. Centaur prides itself as being an innovator and partners with HWM Mantra. Centaur’s platform for investor servicing provides significant efficiencies to stakeholders and reduces the risks and reliance on manual administration. Enhanced compliance reporting including automated checks to WorldCheck and tracking for the fund and its investors ensuring all necessary regulatory and offering requirements are met on a daily basis.